Kate, will you go to prom with me? Yeah, but you better pick me up in a limo I'll pick you up in something bigger! OMG! I think he's going to get a huge hummer limo! Kate, will you go to prom with me? I'll pick you up in something bigger! OMG! 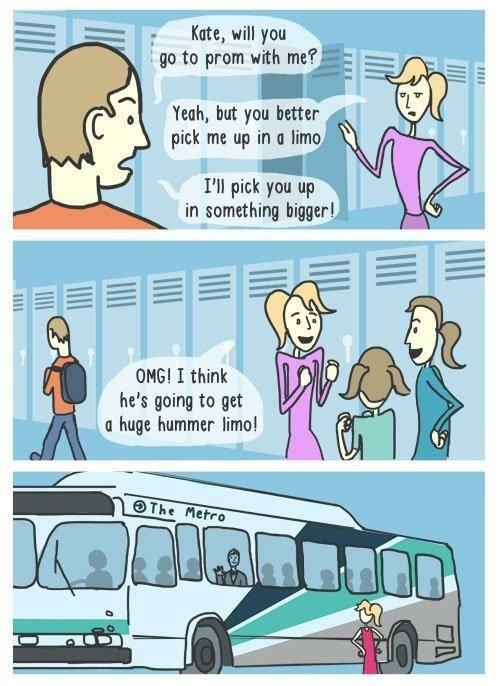 I think he's going to get a huge hummer limo!